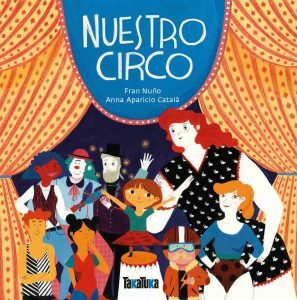 The artists of this circus share a secret: Despite their triumphs in the arena, everyone dreams of doing other acts. 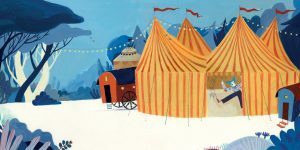 The clown would love to get on the trapeze, the trapeze artist dies for juggling, the juggler dreams of being the human cannonball and the human cannonball would like to walk on a rope several meters above the ground. Luckily, among the troupe there is a girl who also has a secret: she would like to be the ringleader. “What do you think about us starting a circus where each of our dreams comes true?” she proposes. And that’s how, helping one another, “Our circus” was born. The day of the premiere not everything went perfectly, but the members of the company were able, finally, to be who they wanted to be.